So your kids want something new and interesting to do this summer. Gaga ball may be just what the doctor ordered. 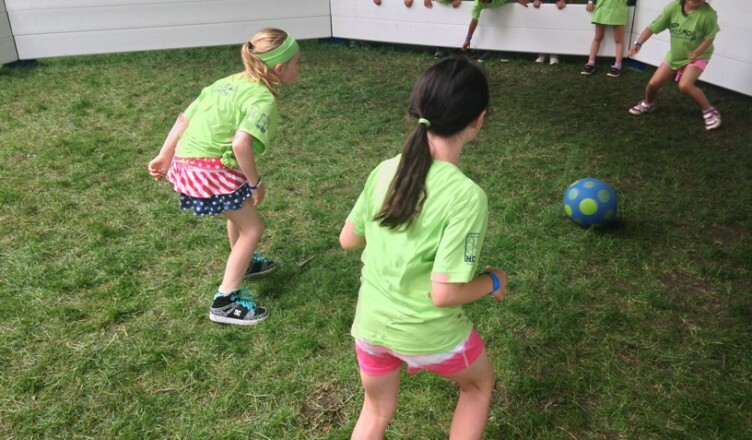 You may have never heard of gaga ball, but your kids will most likely know the game. Gaga ball is all the rage at summer camps and church youth groups. The schools are now becoming aware and are jumping on the band wagon, as well. Summer would be a great time to organize a community gaga ball tournament. Kids need an outlet to jump, run, and play and they definitely need more exercise. A gaga ball tournament would get the kids off of those electronic devises, for a while, and engage them in a healthy alternative- involving competition, interaction with others and, last but not least, lots of exercise. Octopit USA can provide the gaga pits and help you with organizing your group. For more information about organizing a gaga ball tournament in your area, contact Octopit USA at (248) 752-8165.